1. 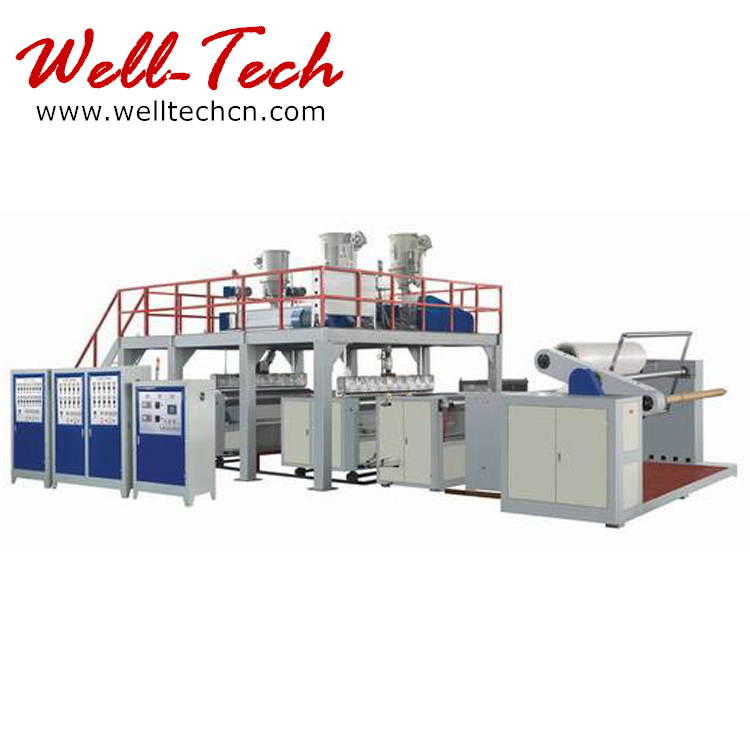 This model can also be used for 5 and 4 layers laminating bubble film with pure aluminum foil and EPE foam or kraft paper, and 3 or 2 layers bubble film. 2. 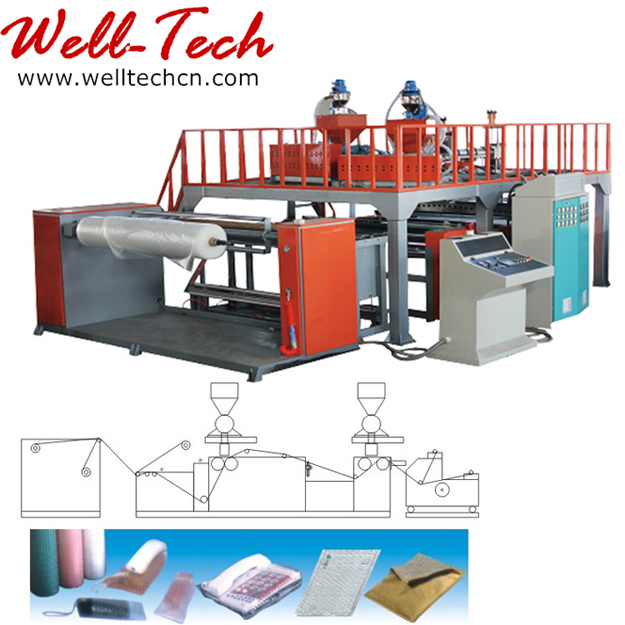 Suitable for a wide spectrum of materials, including LDPE, LLDPE, and recycled PE. 3. 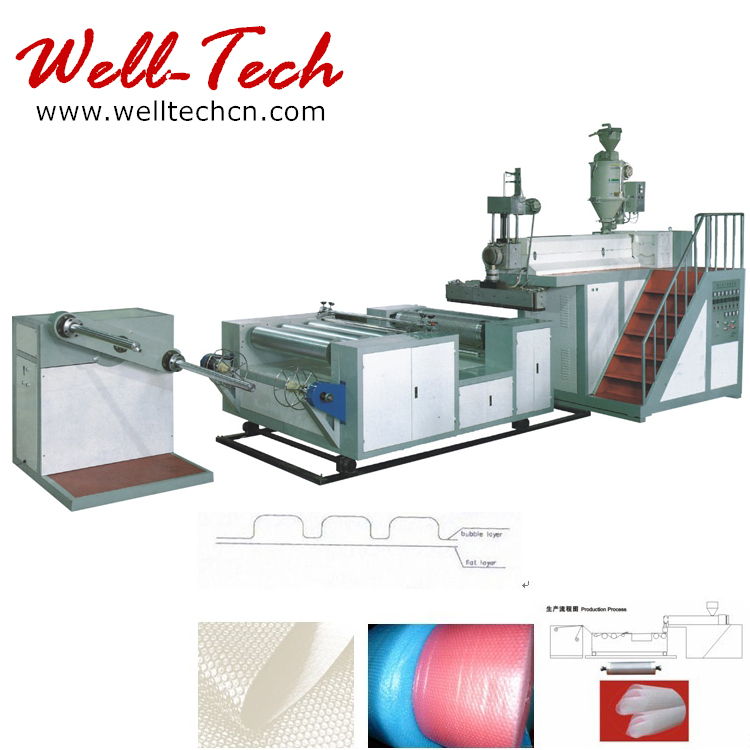 Can produce films with various bubble sizes from φ6-32, by changing the bubble roller. 4. Variable speed drive can greatly reduce energy consumption. 5. With both water cooling and air cooling functions. We had the honor to serve many customers from more than 100 countries and regions.